I have been collecting antique Jewish prayer books for ~3y. I started by just collecting old books. One day I went to the antique book market in Paris and found a prayer book with an ex-libris (pic related). From everything we had left in our apartment in Mulhouse (a city in France) we found nothing except for those 2 prayer books lying on the floor. Everything was taken, from the washing station on the roof to the underground cellar. 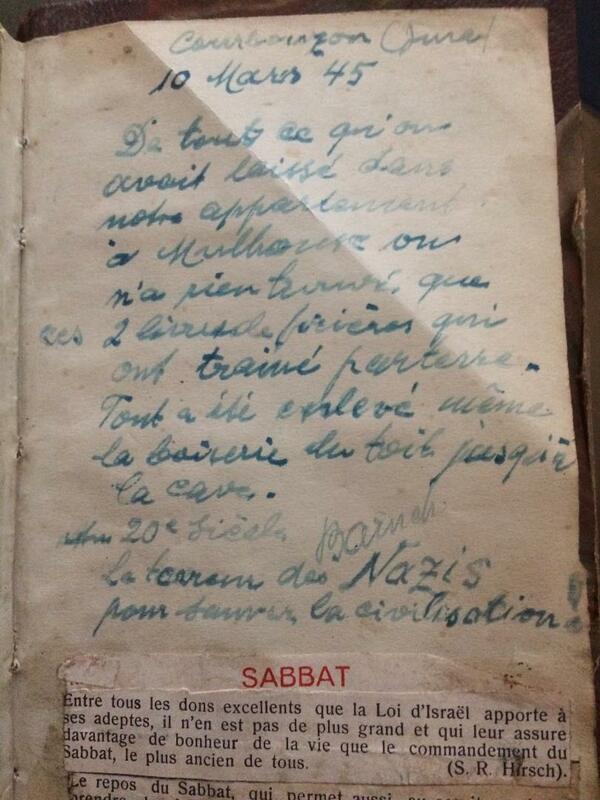 In the 20th century,(unreadable word) the Nazi terror to save civilization!